This infographic, supplied by the NWMLS, quickly reflects 2017 King County real estate market statistics. Investment Property – Time to Sell? Interest in area rentals remains strong, but there has been a noticeable slight decline in area rents so far this year Even in high demand urban areas, rents have dipped slightly. With thousands of new apartments recently completed, or nearing completion, and hundreds more under construction, rental supply may have begun to outpace demand. Bosa Development officially broke ground last week for the One88 – a 21 story luxury condominium community. This will be the first new condo development in downtown Bellevue since the construction of Bellevue Towers and Washington Square nearly ten years ago. The One88 tower will be rise 21 stories with 143 homes offering one, two and three bedroom residences and penthouse floor plans as well as luxury owner amenities. Located at the southwest corner of Bellevue Way NE and NE 2nd Street, One88 replaces a collection of low rise buildings where the former Robbins Brothers jewelry was located. 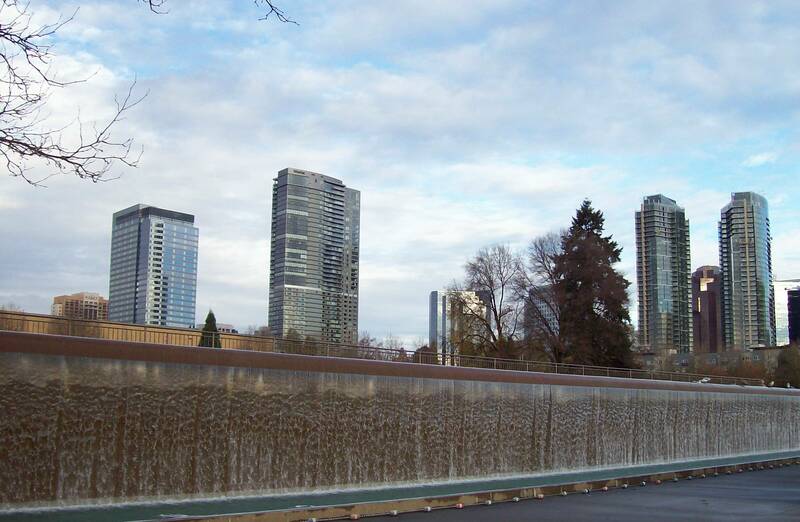 Where are Bellevue Condo Values Headed? Yes, its a seller’s market, but if you’re planning to sell your home, don’t think you can forego the typical prep work associated with getting your home ready to show to buyers. This is the time of year more homes are listed for sale, and more inventory brings more competition. With more to choose from buyers may not be willing to pay top dollar for a dirty, dated or poorly maintained home. There are easy, inexpensive tasks a homeowner can complete in a weekend or two that make a big difference. CLEAN (and clean again) – pay special attention to the kitchen and baths. DE-CLUTTER – remove clutter in closets, cabinets, drawers and garages. “Martha Stewart” your house and show off the storage space. PAINT – If a room or hallway is looking tired a fresh coat of paint is inexpensive and makes a big difference. MAKE A GOOD FIRST IMPRESSION – Curb appeal is huge. The saying “you only get one chance to make a good first impression” is true in any market. Paint the entry door (if the HOA permits), install a new kick plate, toss tired winter plants and put fresh flowers and mulch in entry pots or gardens. LET THE SUN SHINE IN – open window treatments, remove or replace tired drapes or blinds. Clean the windows – maximize your home’s natural light. Some work will require professional help but its worth the investment. Have the furnace and A/C serviced. If other systems, appliances or fixtures need repair get it scheduled. Multiple offers are common and many homes are selling quickly and for more than list price, but that doesn’t mean a free pass for neglecting repairs or cleaning. A home should be delivered to the new owner in clean and good condition. It takes considerable time and energy to get a home ready to sell, but the payoff (return on investment) is worth the effort. I specialize in condos. I know what’s been happening in your neighborhood and your home’s market value. When its time to sell let’s talk . . . I have information and referrals for cleaners, contractors, landscapers, resources for donating or disposal and can help you maximize your return on investment.